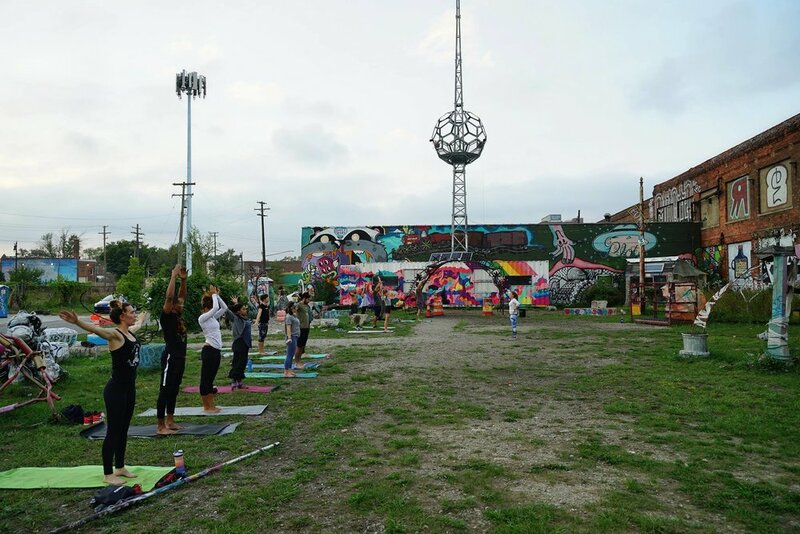 The Lincoln Street Art Park is a nontraditional sculptural park built on a formerly abandoned industrial site. Today there are a number of unique, large-scale sculptural pieces and colorful murals that sprinkle the park with flavor. As new generations are attracted to these vibrant urban settings, they hope to explore and learn from their predecessors and to create new sites, reflective of their experiences. Thoughtful strategy and creative place making help guide this process of urban renewal, which results in stronger neighborhoods, tighter community bonds and a sense of ownership. The Lincoln Street Art Park is an evolving art project where the broader community come to engage and explore. Tours include information about the building and how the facility is used by the community. Students explore the Recycle Here! drop-off area and learn about the items that are accepted and how they get reused or recycled. By visiting the recycling center, students learn how they can make changes in their home life to reduce their impact on the environment. Groups visit the Lincoln Street Art Park to learn how the process of “reuse” has been used to clean up an illegal dumping spot and transformed into a community gathering space.